Psych Support Assessment Services is a psychology practice in Sydney with rooms located in Bondi Junction, Chatswood and Westmead. Some school visits are available as appropriate and in some circumstances consultations are available via telephone or skype. Andrew Greenfield is the Principal Psychologist of Psych Support Assessment Services (PSAS). He is a Consultant Child and Educational Psychologist. He has worked with infants, children, adolescents and adults and their families for over 20 years. Andrew is a consultant to schools, the media, individuals and other organisations and has appeared on Channel 9 TODAY show, Channel 9 National News, Channel 7s Sunrise morning program and Today Tonight, ABCs Can We Help, Ask the Expert Segment, ABC radio and 2UE/4BC as well as other media sources. Andrew is the Psychologist for the Australian Multiple Birth Association's AMBA Magazine (and also an identical twin himself). He is also a writer for the Practical Parenting magazine. with rooms located in Bondi Junction, Chatswood and Westmead. Andrew is the psychologist who would assess your child and NOT an intern Psychologist. Andrew has experience in the field of Educational and Child Psychology and is registered with the APS College of Educational and Developmental Psychologists. You can recognise these Psychologists as they have CEDP in their credentials. 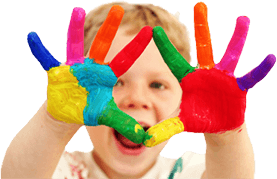 This ensures specific experience in the area of child, educational and developmental psychology. Andrew is a member of the Australian Psychological Society. Andrew is endorsed by the Australian Psychological Society as a Child and Educational Psychologist. Andrew has had vast experience working with conditions such as ADHD, ADD, Oppositional Defiant Disorder, Asperger's Disorder, Learning Difficulties and behaviour difficulties. Andrew is registered with most private health funds within Australia and is a registered Medicare Provider in order to maximise claiming benefits for clients and patients. Andrew's reports are very comprehensive and not just a computer generated report. His reports include practical strategies and recommendations. Andrew is a family man himself with 3 young children and is also an identical twin himself. He takes the time to establish rapport with your child and sees his main role as getting the most out of your child. Andrew prides himself as being approachable, dependable, reliable and able to explain concepts in an easy-to-understand way. Patients and clients have come from all around Australia and internationally to see Andrew. Andrew is a member of a number of professional bodies and organisations. We are now offering a brand new service - School Visits for some clients.